It is with great excitement that MWSRP introduces the latest research tool to our toolkit – ‘Valla’ is a Yuneec Typhoon H hexacopter. Valla is the dhivehi word for the beautiful terns that nest in South Ari MPA. Made possible through your generous support for the t-shirt fund raiser held by MWSRP in August, the hexacopter will soon be flying high above the waves of the South Ari atoll MPA. It promises to add a superb extra dimension to MWSRP’s whale shark survey work. To carry out exactly repeatable survey transects of the reef for whale shark counts. 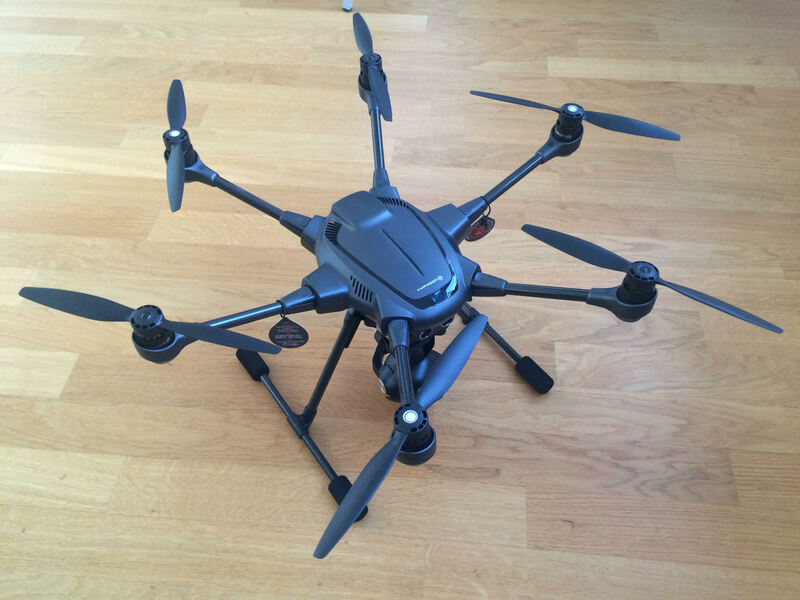 The hexacopter is fully programmable to fly between GPS waypoints, allowing it to consistently follow an exactly defined survey path. From a scientific perspective this is very important in controlling experimental variables. It allows testing of whale shark numbers against other changeable environmental variables of research interest, such as lunar stage, tidal state and sea surface temperatures, as well as opportunistic comparisons of control surveys versus periods of coral spawning etc. The MWSRP does this to some extent by vessel already, but the current method has frailties in terms of consistency. 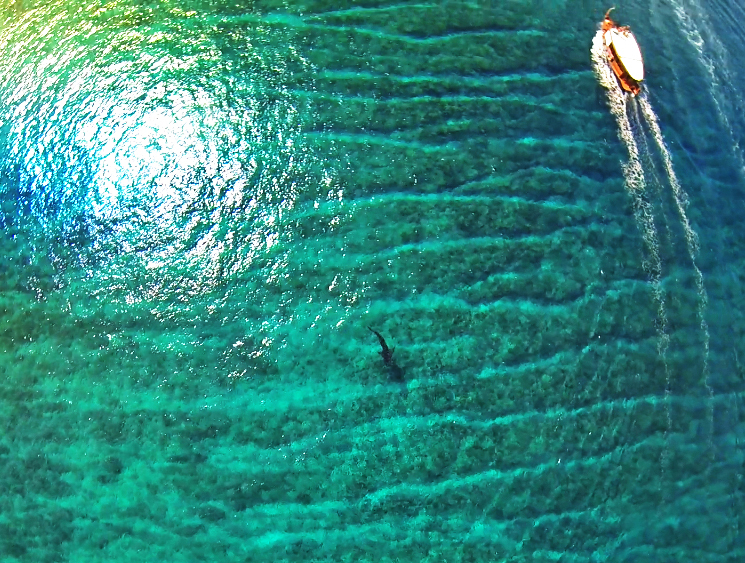 Not to mention, the team get in the water whenever they see a whale shark, while the hexacopter will just record and move on! The footage obtained will not be ‘real time’, so the hexacopter will not be able to be used for finding and counting whale sharks directly. The high definition 4K camera on board will record the 25 minute survey, with the team reviewing footage and counting whale sharks at a later date. To assess the feasibility of measuring whale sharks from the air using exact elevation to triangulate the total length (TL) of the shark. A research idea borrowed from cetacean researchers, this method offers another method for establishing whale shark size to complement the in water methods of laser photogrammetry, tape measure and estimation. Accurate and precise measurements of a whale sharks’ overall length are key to growth rate and population demographic studies, as sexual maturity is linked to size in whale sharks. By adding another measurement method to compare against the current systems, the team hope to refine the precision of all methods and so boost the quality of the research outputs. To gather undisturbed whale shark behavioural imagery data. No matter how closely you follow the whale shark encounter best practice guidelines to reduce the impact your presence in the water has on the whale shark, the fact that you are there and that the vessel you are using is in the proximity means you cannot, from a scientific perspective, completely remove your presence as a potential cause of any behavioural activities being observed. Whale sharks are evolutionarily highly evolved to detect and react to stimuli in their underwater environment. Humans splashing around with fins and masks and boat engines are definitely something that would be noticed! 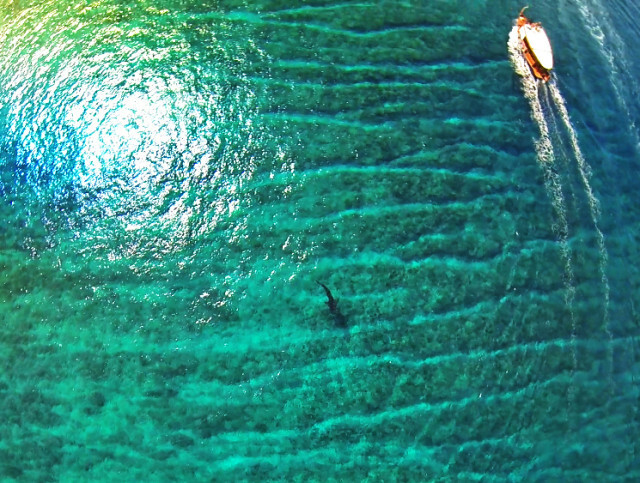 But a hexacopter hovering well above the shark, in the air and away from its carefully crafted senses will likely to go completely undetected by the shark. This means that true behaviour can be observed and compared to environmental and other variables, as well as compared to the behaviour of the shark when the team is in the water to see actual responses to human presence. It really is a game changer in terms of no-impact scientific observations for whale sharks. We’re hoping one by-product of this research is to capture breath-taking imagery of the sharks undisturbed in their wonderful natural environment to be shared with and appreciated by all who have an interest in this species, and to bring the majesty of this species into the eyes of those who are yet to come under its spell! The MWSRP will be operating the hexacopter to guidelines which minimise or remove any disturbance or privacy concerns other water users or nearby resorts may have. The top concern is to capture innovative research data in a way that does not disturb others. The MWSRP welcome any communications from people interested in the hexacopter, its capabilities, the research it will conduct and the research outputs it creates. Please email info@maldiveswhalesharkresearch with any questions, comments or concerns you may have about this exciting new tool.